Christmas has always been correlated with cakes. Our outstanding selection has something for everyone to indulge in the season. 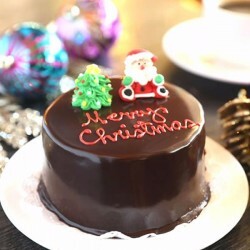 Always remember one thing that Christmas is a very special occasion and each moment of this day should be special and that's why you need to be more careful when selecting a perfect Christmas cake for the celebration. Christmas isn't a season, it’s a feeling. So spread your feeling with all near to your heart.